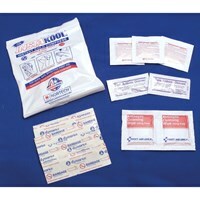 MaxiAids | Reusable Therma Kool Hot-Cold Compress - 4 x 9 in. 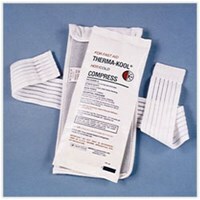 The Reusable Therma Kool Hot-Cold 4 x 9 Compress is a great size for the elbow and ankle. It stays soft and flexible so it easily conforms to the shape of the injured area. It's hospital proven, safe for use with children under adult supervision and the school nurse's choice. Package contains 1 compress. Made in the U.S.A.
For cold use, store in freezer. 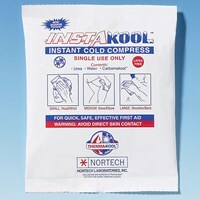 Use cold for: sports injuries, bruises, bumps, sprains, headache, helps relieve migraine and arthritis pain. For hot use, microwaveable or may be immersed in hot water for 5 minutes. 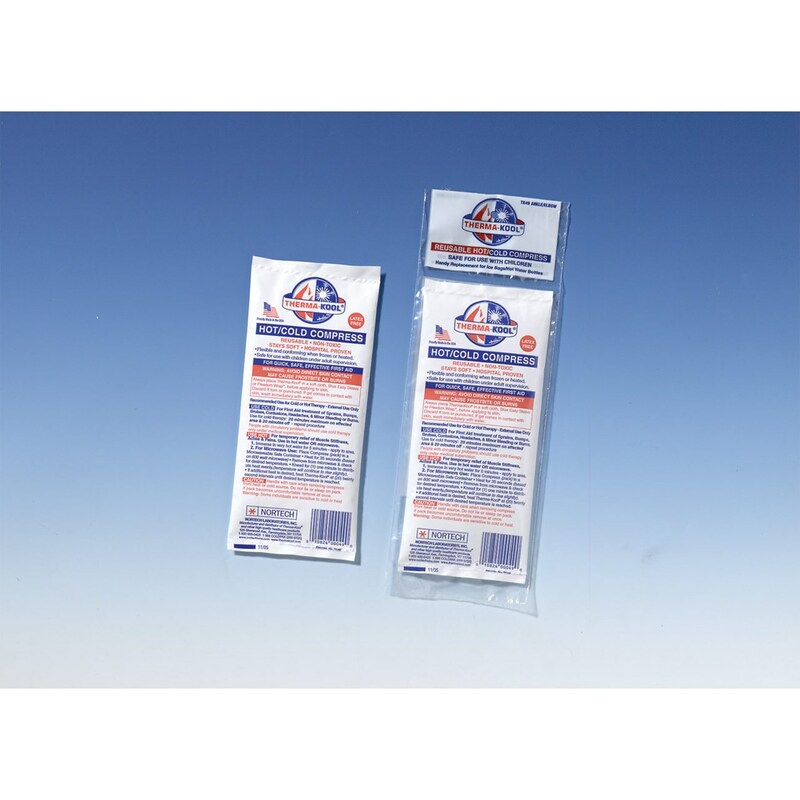 Use hot for: temporary relief of muscle stiffness, aches, pains and sinus pain. 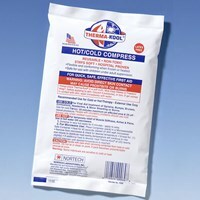 For hot or cold use, wrap compress in cloth before applying to the skin.